The Deaflympics, previously known as the International Silent Games and the World Games for the Deaf, are an international multi-sport event for the deaf athletes and are sanctioned by the International Olympic Committee (IOC). Since the first Deaflympics that were held as early as 1924, the event has been organised by the Comite International des Sports des Silencieux, the precursor of today’s Le Comite International des Sports des Sourds. Just like the “regular” Olympic Games, the Deaflympics are held every four years. As mentioned earlier, the first Deaflympics (at the time called International Silent Games) were held in 1924 in Paris as “Olympic Games” for deaf and hard of hearing athletes, becoming the first international sporting event for disabled athletes in history. Held every forth year ever since with the exception of the period during World War II, the Deaflympics are thus also the longest running international competition for disabled athletes and the second longest running multi-sport event after the Olympic Games. The Deaflympics weren’t organised just to enable deaf and hard of hearing athletes to compete in Olympic-style international sporting event. The International Silent Games were also organised with an aim to fight against discrimination of deaf people. At the time, the society treated people with hearing impairment as intellectually disabled and often, as second-class citizens. President of the French Deaf Sports Federation, Eugene Rubens-Alcais (1884-1963) who is given most credit for establishing the Deaflympics also sought to end the discriminatory treatment of deaf people. 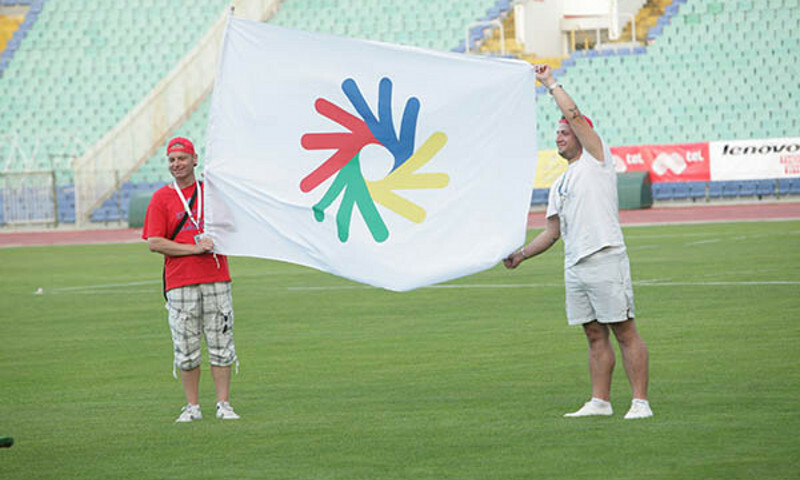 The first Deaflympics were participated by fewer than 150 athletes from only nine European countries. With each Games, however, the number of participating athletes grew until reaching several thousand by the early 21st century. To date, 36 cities hosted the Deaflympics, predominantly European as only five non-European countries were host to the event so far. The Deaflympics differ from other Olympic-style sports events for disabled athletes including those sanctioned by the International Olympic Committee (IOC) in that no sounds are allowed to be used to guide the competitors such as starter’s gun, whistles, etc. Likewise, the participants must have a hearing loss of 55 db or more and mustn’t use any hearing aids while competing. Lastly, only deaf individuals are allowed to serve the Committee that organises the Deaflympics.